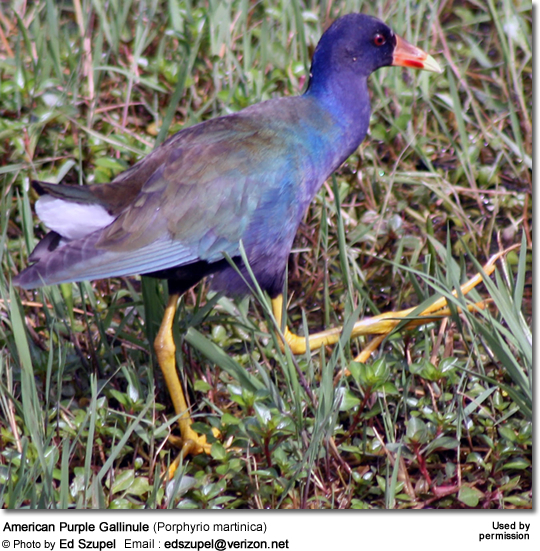 The American Purple Gallinule (Porphyrio martinica) is a "swamp hen" in the rail family Rallidae. Their breeding habitat is warm swamps and marshes in southeastern states of the United States and the tropical regions of Central America and the Caribbean. 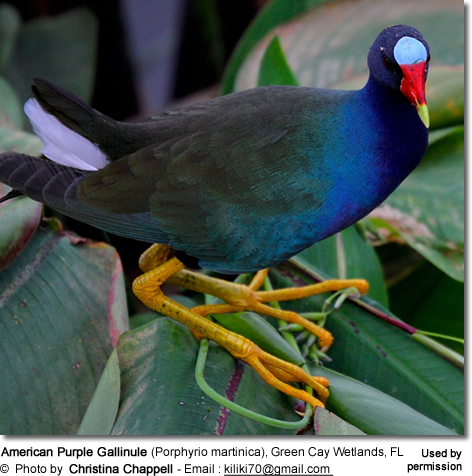 This species is resident in southern Florida and the tropics, but most American birds are migratory, wintering south to Argentina. This species is a very rare vagrant to western Europe. 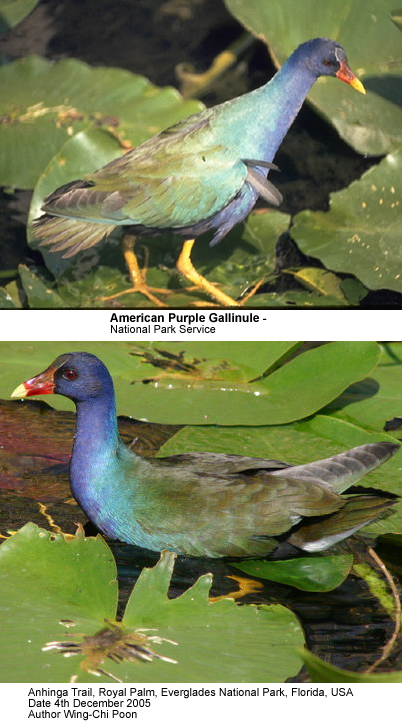 These gallinules will fly short distances with dangling legs. 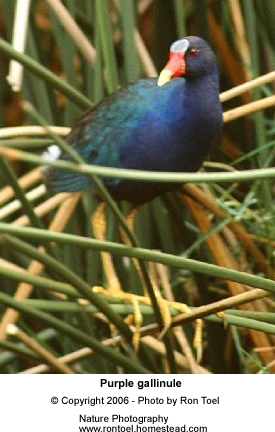 Immature birds are brown rather than purple. 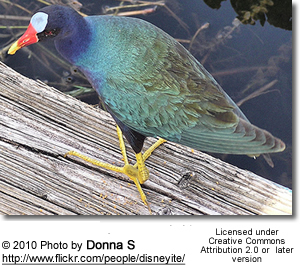 There is a similar species in southern Europe, the Purple Swamphen, Porphyrio porphyrio, but that bird is much larger. 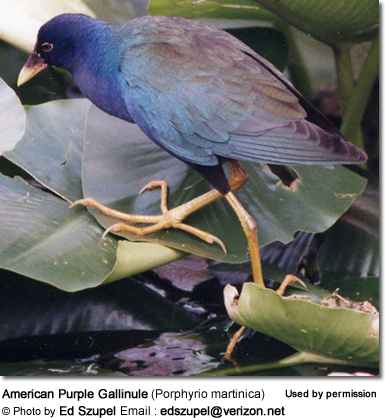 The American PurpleGallinule's diet consists of a wide variety of plant and animal matter, including seeds, leaves and fruits of both aquatic and terrestrial plants, as well as insects, frogs, snails, spiders, earthworms and fish. It has also been known to eat the eggs and young of other birds.